If you have an over-active imagination like me, you could imagine pulling up to Kings Weston Hosue, built in the early 18th century, in a horse drawn carriage and stepping out in layers of unnecessary fabric for a civilized cup of Afternoon Tea. Olde English traditional beauty, perfect for wedding receptions or filming for period dramas. 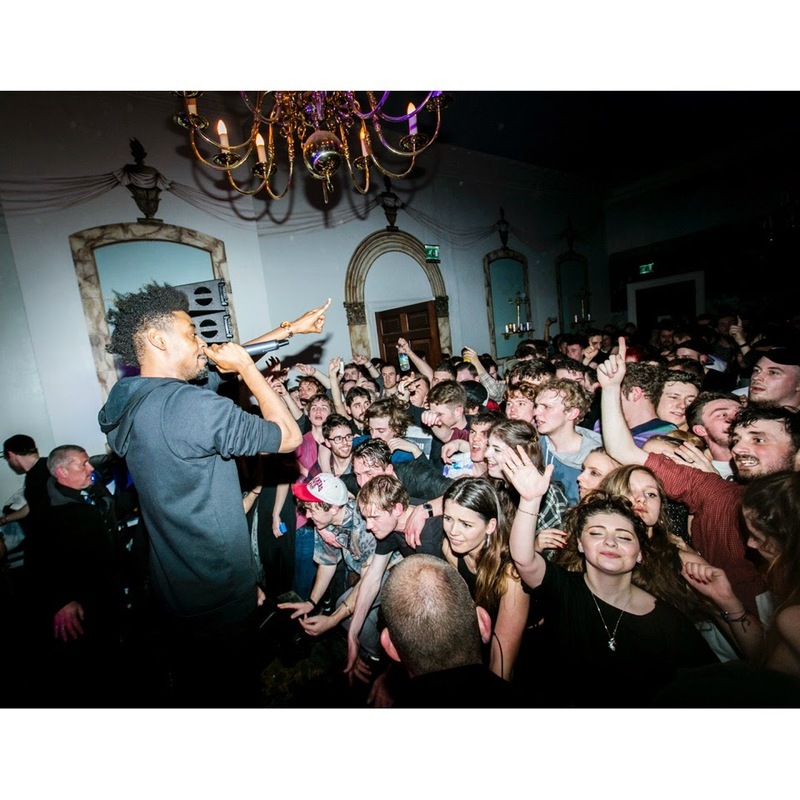 When it got billed as one of the venue’s for the Red Bull Music Academy where Novelist, Mumdance and Danny Brown would be playing to name but a few I was shocked. 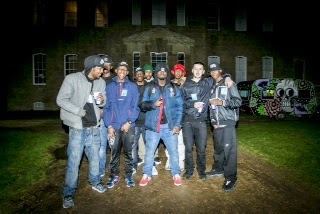 Grime rave in a Manor House? WHAT?! Are you NUTS?? Obviously it sold out. I think everyone was interested to see how the house would end up by the end of it. Would there be sick on the nice carpet? Graffiti on the walls? Slashed leather sofas? That’s what I was picturing in my worst case scenario. Thankfully there was none of that, everyone was incredibly well behaved. The atmosphere was surprisingly relaxed, maybe because of this. Everyone was smiling wandering around and generally soaking up the good vibes. I personally didn’t see any altercations which is always nice because there is a common misconception that surrounds grime. That is always comes with aggression. And it doesn’t. It comes with ENERGY. There was a lot of that in the main room (can’t say I really ventured into the other room so there may have been bucket loads in there too) from the audience and the performers. 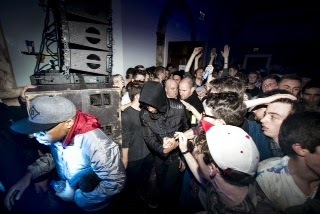 You can’t stand still watching Novelist and The Square getting hyped up on stage. 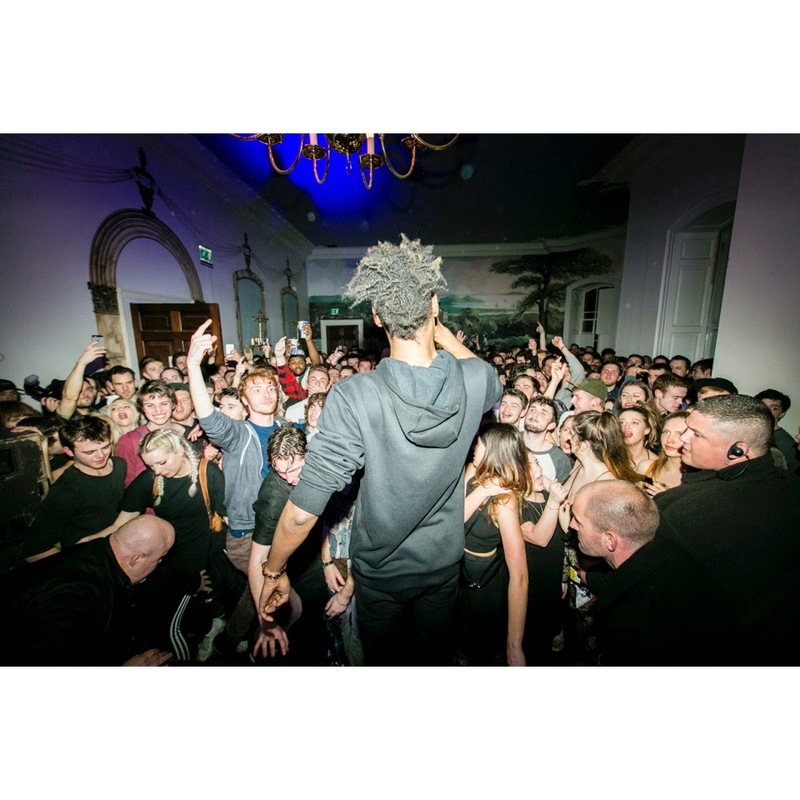 The energy was high to the point that the floor had to be practically mopped after every song because of drinks flying about from the room bumping. 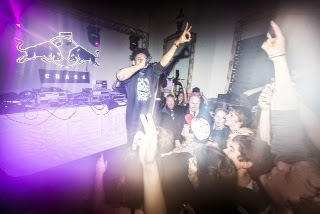 No-one saw Danny Brown before his set. He had a pimped out caravan out the back of back stage (VVVIP) and a personal portaloo – that’s when you know you’ve made it kids. The tension as he walked onto stage was palpable, all the people who had nipped out for ‘just one more fag before Danny’ were left pissed when the bouncers blocked the door once the room was full (but still with dancing room for us inside – win). 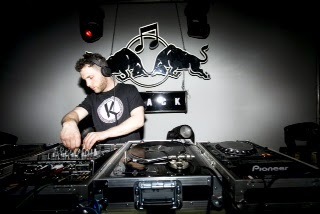 Understandably the room erupted as soon as Danny kicked off and the bass blasted. I tried to take videos longer than 15 seconds but the excitement levels were too high. As was to be expected as soon as Danny left, most people left. For the ones that did stay; we were treated to some old school jams. We got some Missy, OutKast, Dr Dre – all them classics. Overall I’d say raving in an 18th century Manor House was one of the more bizarre concepts I’ve heard in a while, but definitely worth the trek. I also remembered as soon as I got there that it was where I’d had my prom almost a decade ago!